Adapted from my other recipe here. The health benefits of chia are blah, blah, blah yakety smackity. Hmmm? You should expect references to 90’s cartoons over generic spiels about the health benefits of food. We use ingredients around here, right, dear reader? Yeah. That’s why we’re still using sorghum, because it apparently makes really delicious cookies. Egg free ones no less. I did make it a speedier adaptation from the original, creaming and carefully working every ingredient is fine when the flour is better for it, but with sorghum I use it like rice flour. Rough and ready in other words. These cookies certainly haven’t suffered from a sped up preparation. As for the chia, I had thought of just adding it for fun, but then I thought it might help bind the cookies a little, less than a chia egg, but maybe enough. Anyone willing to try it both ways, with and without, can report below. The one tiny cookie curse is in full effect. Now, I had to add the step of adding the extra flour and kneading it in as it helps you handle these cookies. I did attempt to roll them and it was as disastrous as usual, sorghum doesn’t make great dough. Just pinch off what you need from the ball, squish it down into a disk and you’ll be saved a lot of hassle. There isn’t really much work here. You do have to let them rest in the fridge or it’ll be too sticky to work with and, I’m guessing, too runny when you bake them. Funnily the honey doesn’t burn here, but they do brown fast. They have a nice crisp texture, there’s a satisfying crack when you snap them, adding the pop of the chia seeds means this is a crispy cookie. They are just a hair shy of dry. I did opt for a, messy admittedly, simple drizzle made with lemon and fresh raspberries from the garden. That stage is up to you, it’s just icing sugar, lemon juice and raspberry. I just wanted a little extra taste with what I had at hand. I will eventually try my hand at royal icing, but this was a quick craving killer. I like these without the egg, I already posted a cookie with egg so these are fine. If you can tolerate chocolate I’d say they could make some tasty, healthy…ier, oreos. Or Hydro if you’d rather. Messy and quick. Honest in all things that’s me. No concealment here, dear reader. So, I think I’ve got a pretty decent handle on sorghum now. It’s similar to rice flour in that it has no binding properties. Where it shines is in it’s taste. A sort of nutty sweetness, but I know that’s as useless as it is generic. I’d say it’s a milder, sweeter buckwheat flavour. I still have some sorghum flour left, but when the bag runs out, barring me getting more for free, I won’t bother buying any more. I prefer to buy flours that make healthy and sensible recipes, this has been better in desserts and I don’t want a flour solely for desserts. Okay, that’s that, I’ll see you later, dear reader. 1. Mix the Butter, Honey, Vanilla Extract and Sugar until combined. 2. Stir in the Flour, Salt and Chia Seeds and until a slightly sticky firm dough has been formed. Roll dough into a ball and wrap with cling film then leave in the fridge for 30 minutes. 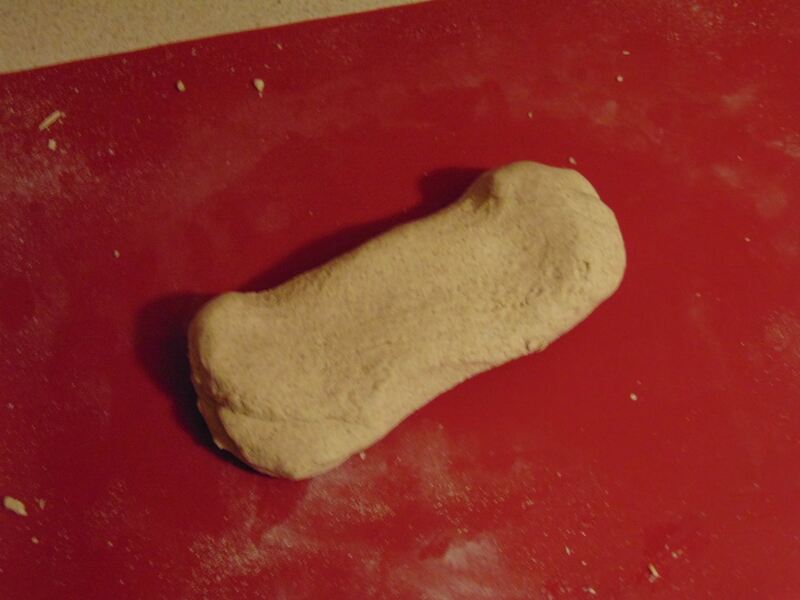 Dough will be firm and mostly solid when removed from the fridge. 3. 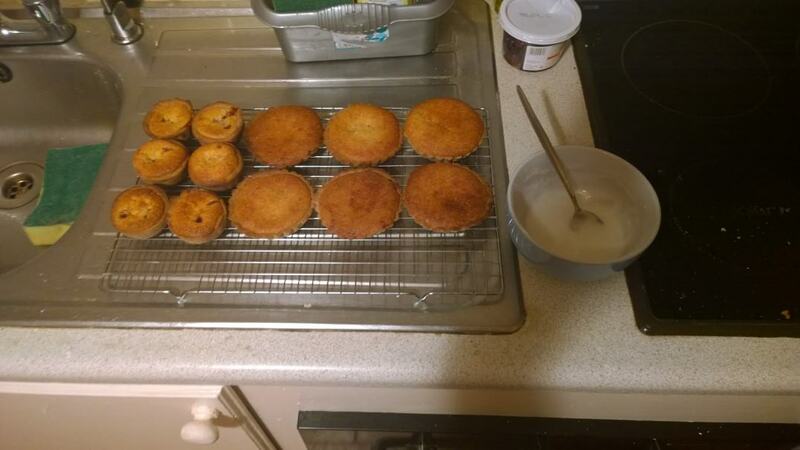 Line a baking tray with greaseproof paper and preheat the oven to 170c (Fan). 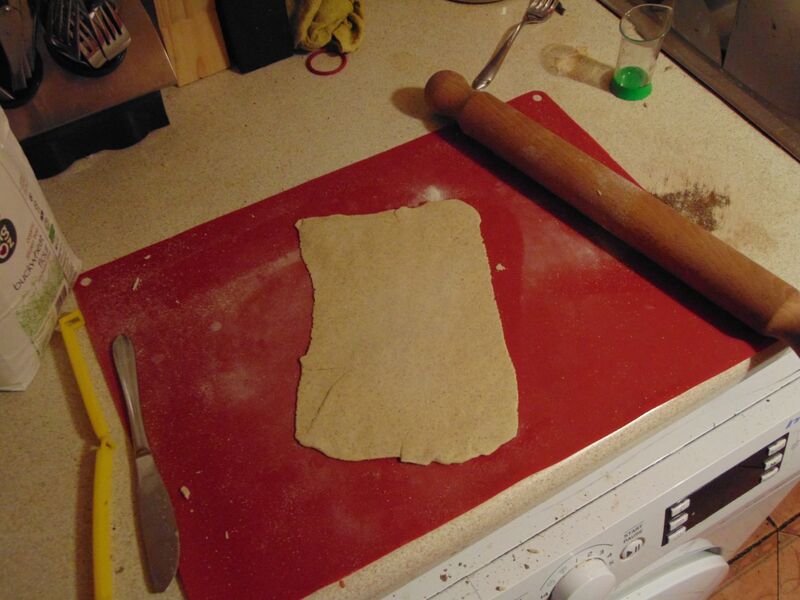 Remove cling film and dust the dough with more Sorghum Flour. Knead the flour into the dough, dough shouldn’t be sticky and should be easily handled, then pinch off 1 Tbsp’s worth of dough, roll it into a ball and press it flat onto the prepared tray. Bake for 15 minutes until cookies are dark brown and fairly firm to the touch. Remove from oven and let cool for 5 minutes then transfer to a wire-rack to cool completely. Due to the fact I don’t have all the original photos there might be some disparity between the photos and the text. I’ll do the best I can. I’ll be writing this post in stages, some before, some during or just after, maybe some after that again, but hopefully it’ll all remain coherent. So, dear reader, here we are again. 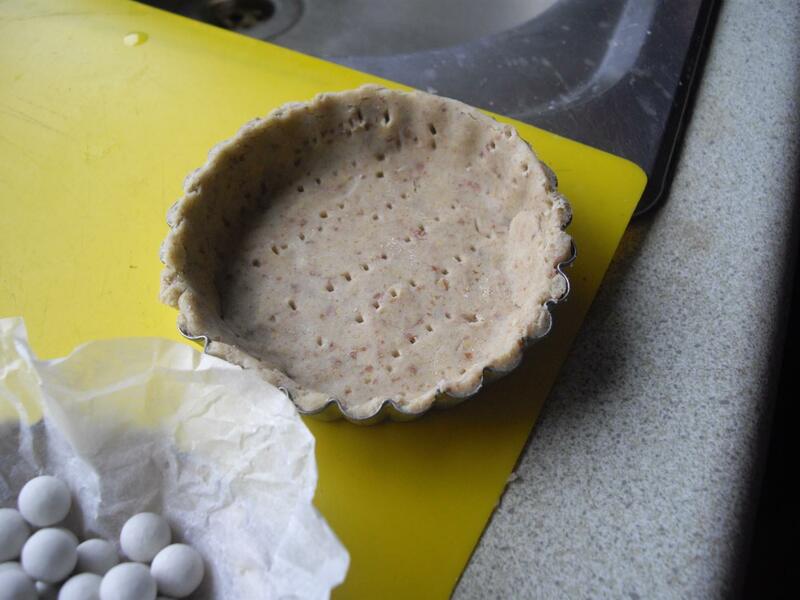 You might have seen my recipe for a Buckweat Flour Bakewell, has it really been two years? Time flies when it comes to pies, er, tarts. I’ve learned a bit since I last made this so it’ll be interesting to see how well it’ll all turn out. You might know the way I write these “tutorials”, depends on your level of devotion, dearly devote reader, you get a step, an elaboration and possibly some extra titbits. Now first I would like to talk about how I approach recipe writing. I think it’s important to be clear and keep it simple, that’s the reason most of my recipes follow a similar structure and style. But what I find important is having a baseline, as in: What’s the recipe at its most basic? It can be a tad confusing when you start with variations, but if you’re unable to piece together the additions and replacements then, not to be rude, you need to get better. I started knowing nothing, all of us do, and me sitting here trying to baby anyone isn’t going to help them learn. You can always ask, learn from mistakes, but if I sat here and thought of all the potential readers and the problems they might face I’d never get started. I can be a bit silly when it comes to these posts, trying for perfection I never expect to achieve or ever ask from anyone else. So, you might have to hunt around, piece these recipes together to suit yourself, but be thankful, arrogant, eh?, that not only do you have a recipe that tells you everything you need to make it, it lists the texture, taste and gives advice, for some of the older recipes that isn’t true, but from a certain point onwards and for the future it is. An unassailable truth. Because I want you to enjoy these recipes, I want you to succeed in making them and I want to make my struggle to get where I am now more worthwhile. I also hate to replace an entire recipe if it works as you never know who’ll find the first version useful. It’s all about finding your own groove and knowing how to adapt to other’s rhythms. No, I’m not demanding you dance to my tune, just boogie with me for a while. 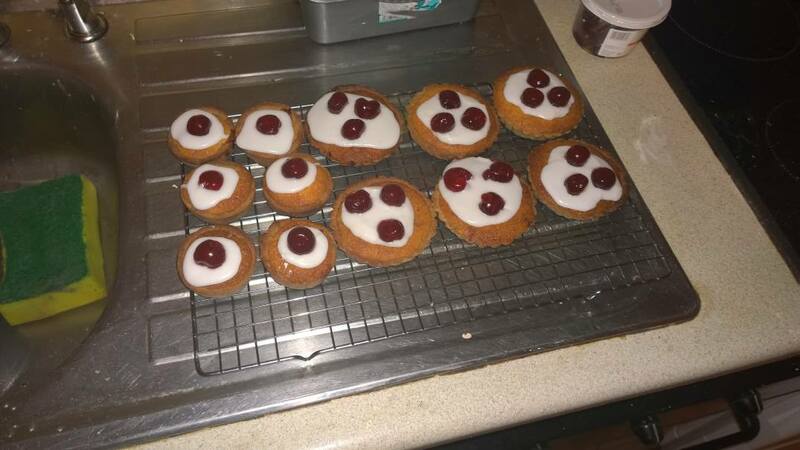 So, with all that out of the way, let’s go and see what a better bakewell looks like, yeah? Step 0: Woah, woah. Man, That Recipe’s Old. I appear to have stumbled at the gate, I haven’t looked at the recipe until now, though I’ve been planning it for a while. But I do remember making the tart. No egg, which is a testament to the binding power of buckwheat, but a nuisance. It ended up with too little pastry at first which meant making more and pressing it onto the first batch. It was delicate, but it held admirably. We’re going full chia egg in this version. I’ll elaborate on that in the appropriate step. 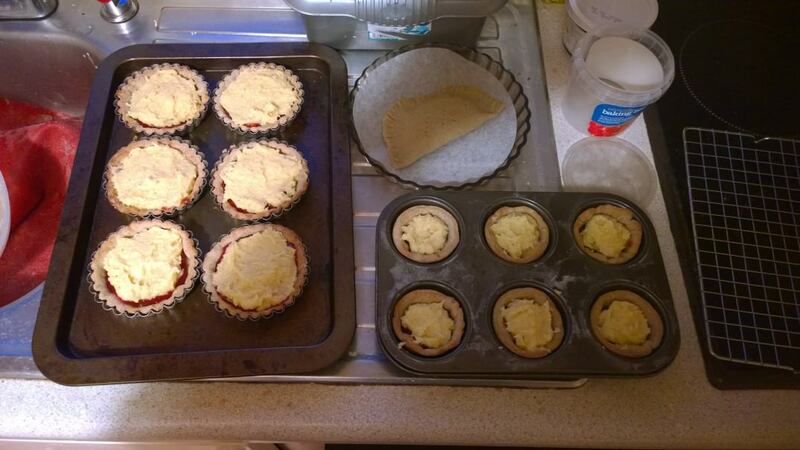 I’m making mini tarts, but it’ll still be the same general idea. The filling needs no alteration as far as I can see. This should wind up as less work than the original. I’ll link from that recipe to here when it’s all finished. You might ask why wait so long, I’d ask the same thing. It’s a mixture of weight-loss, getting to grips with food, stomach capacity, ingredient cost and, if I’m honest, the fact that you could make this every day, but it’d never be as special as the first time. So, read this well, it might be a while before you see it again. Raspberry Jam, enough to provide a thick covering to pie base. 1. Add the Buckwheat Flour and 2 Tbsp of Caster Sugar to a bowl. 2. Add the Butter and crumble together with hands until it forms a lumpy, dry breadcrumb like mixture. 3. Here we change. Add the two Eggs, Chia and Chicken, and then mix without water. You shouldn’t need it. 4. 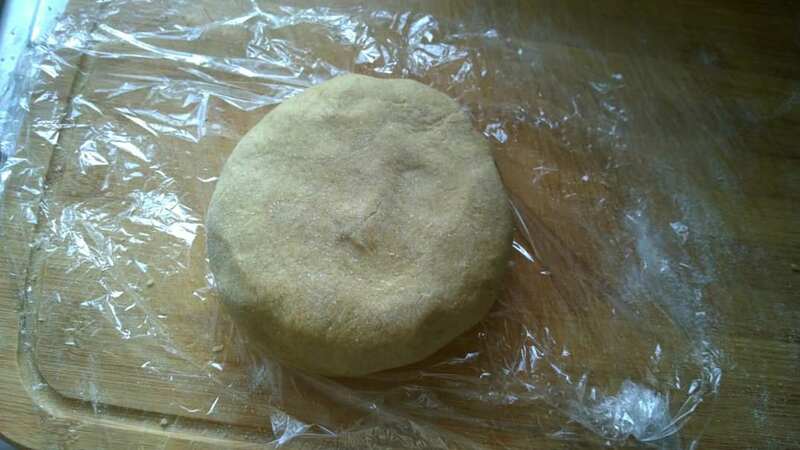 Dust with flour, knead into a ball and then form into a flat disc and place in fridge for 1 hour. It’ll harden up in the fridge, but should still be pliable. Step four, naturally. 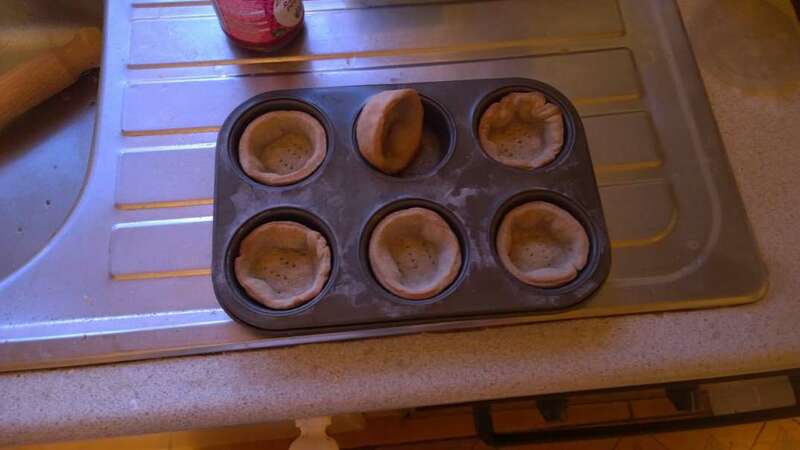 Okay, we’re working with my buckwheat shortcrust pastry found here, just trust me, this way is best. 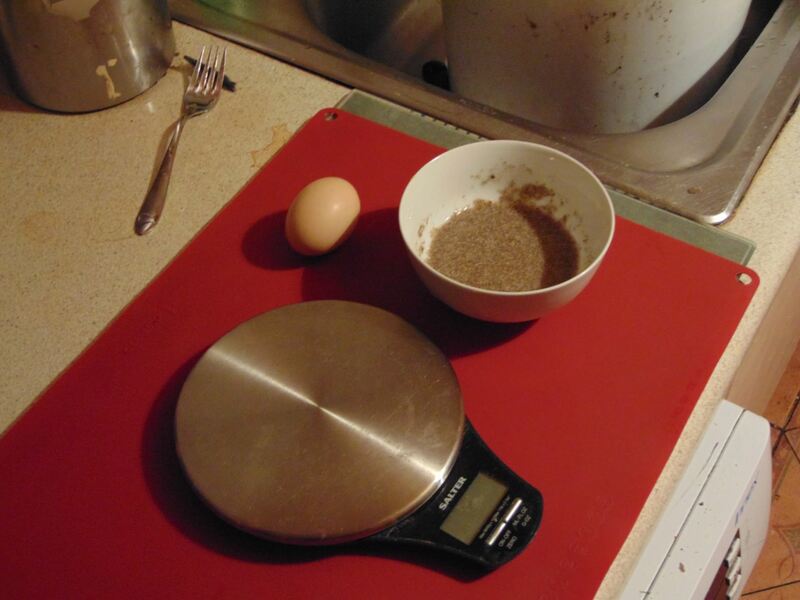 What we’ll be using is the chia egg and also a medium egg which is about 60g-65g in shell and also doubling the recipe. I’ll say two things before we start in earnest: One: you’ll have to figure some of this out yourself, I’ll tell you everything, but you’ll have to use your noggin. I won’t insult your intelligence and assume you’re an idiot, I’ll instead assume that you can double a recipe and figure out what other changes are needed as I list them. As in: The egg goes in after the Butter crumbing, that’s listed in the chia egg part f the original. I’ll just carry on believing that. If you’re stuck, then ask away, I just can’t think of everyone at every level of skill here. I’d go mad. Madder. Secondly: This isn’t wheat pastry! It’s buckwheat, not buckwheat disguised as wheat. It’s buckwheat in all its glory! Okay? Yeah. That means you get a crisp pastry, that with the two eggs also gains a moistness and ease-of-work-ability. Shush, that’s a word. Buckwheat works well here because it is slightly drier and more crisp than a wheat based pastry which compliments the soft, richly decadently buttery filling. That’s a lot of -ys, but you get the idea. Not wheaty, nor gum-based, starch-added, fake wheaty pastry. New pastry. Adapt! Okay, I’m done. Er, sorry. But if it’s looked upon on its own merits it’s really wonderful. Not tooting my own horn, it just is really great. So, pastry tips. Let’s see. Everything should be cold. Which reminds me that I have ice water in the freezer I forgot about as I didn’t need it. Oh well. You’re better to work in two halves rather then in one go. The more time this pastry spends in a warm room the more the butter melts, the stickier it becomes and the more of a mess you end up with. The chia egg and hen egg made an amazing pastry. 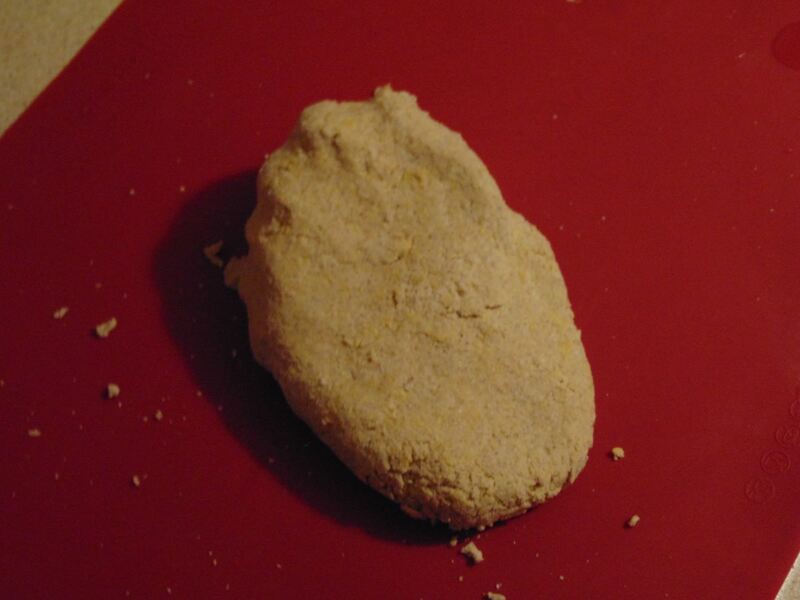 Chia alone could make it too dry, though amazingly like gluten-based flour dough when worked, whereas just a hen egg would mean less of that ease of kneading and working, but moister. So we end up with the best of both worlds in our doubled recipe, with no down sides. To bring it together I work it in a bowl until it’s roughly a dough, crumbly is fine, then turn it out onto a floured work surface and start kneading it. Naturally there’s no fear of overworking the pastry, but do be weary of the butter melting too much. Don’t dust too much flour, a bit here and there works best. There shouldn’t be any cracks in this pastry if you’ve made it right. 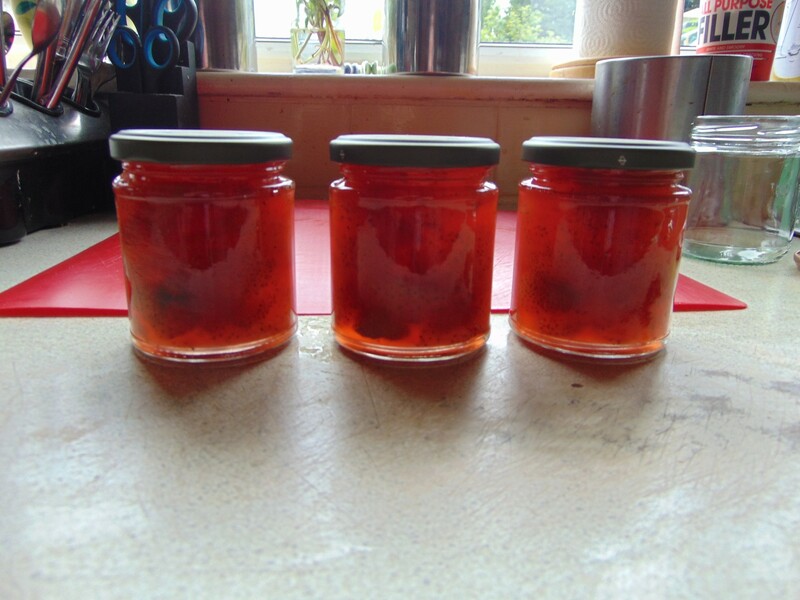 You can of course make your own jam, or conserve. Just a quick detour. I really hate the seeds in raspberry jam, hate them with an unholy passion. So I went to the trouble of sieving the jam and left it until later. This is entirely up to you. If you can get a smooth raspberry jam then more power to you. If not and you want a seedless jam you could change it for another jam, but raspberry works best with the almond filling. Step 2: Rolling out the pastry. Divide or risk ruination. Possibly. I had to guess at how many I’d need. 6. Let the Dough rest out of the fridge for a few minutes then roll out the Dough into a circle and place over the baking tin. 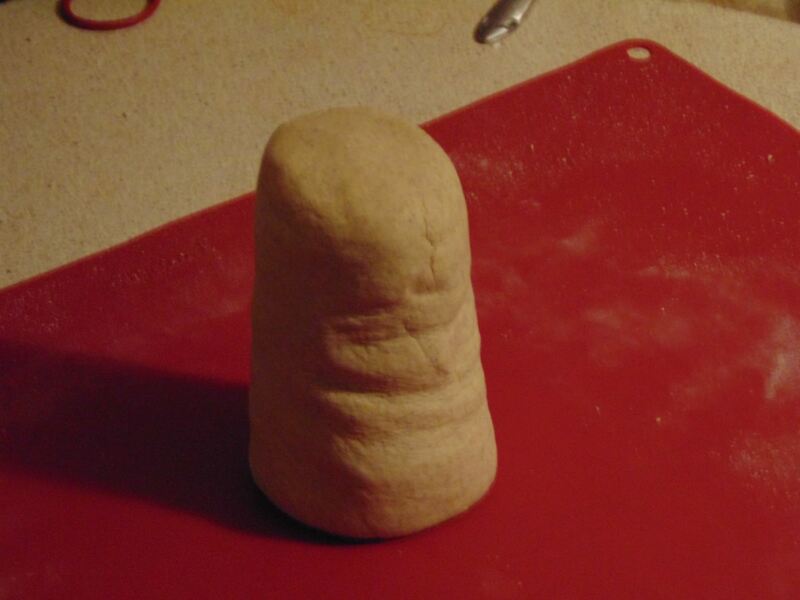 Dough will be fragile (Not this one!) and may need to be dusted and re-kneaded. Prick the bottom with a fork. h Scrape the extra off the tin with the back of a knife. So, what are we doing.. Firstly greasing and flouring those tins. What I do is melt the butter, just a note: From here on out say goodbye to moderation, butter and sugar city from this point on, and spread it on with a pastry brush. Then I dust with flour and shake out the excess. I made some in push-up tins and some in the muffin tins. I prefer the push-up tins, they just bake better. Rolling it out: You want it thick enough to hold together, but not so thick that it ends up heavy or taking too long to blind bake. Maybe 3-5 millimetres If you move it and it’s tearing then it’s too thin. You’ll have to gauge it yourself. What you want is a circle bigger than the tin, then you cut off the extra. If you’re making a full sized pie, all you do is drape it over and cut off the excess. Press it gently into the sides with your thumb, just pressing once, turning the tin and repeating until the whole tin is filled evenly. 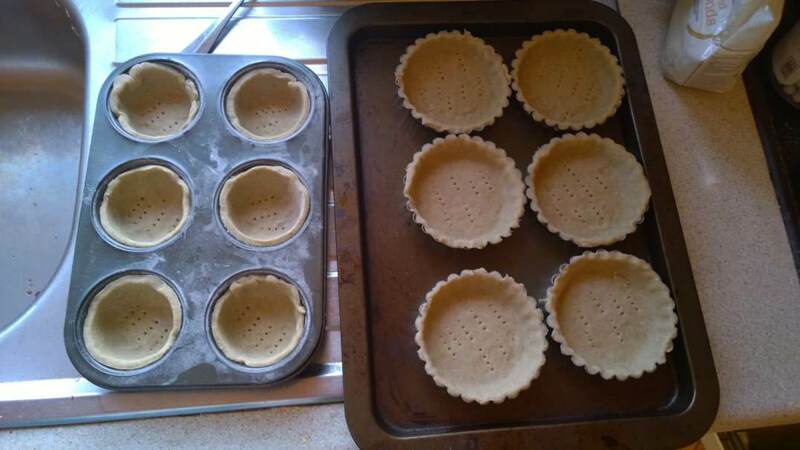 Don’t forget to prick the bottom, it’s important, so are the pastry beads but I’ll get to them in a moment. 7. Blind bake, with baking beads or rice in crumpled greaseproof paper, for 10 to 15 minutes at 180c (Fan). Remove from the oven and remove the rice and greaseproof paper then bake for another 5 minutes or until centre is dry to the touch. Leave on wire-rack. Spread the Raspberry Jam over the base. 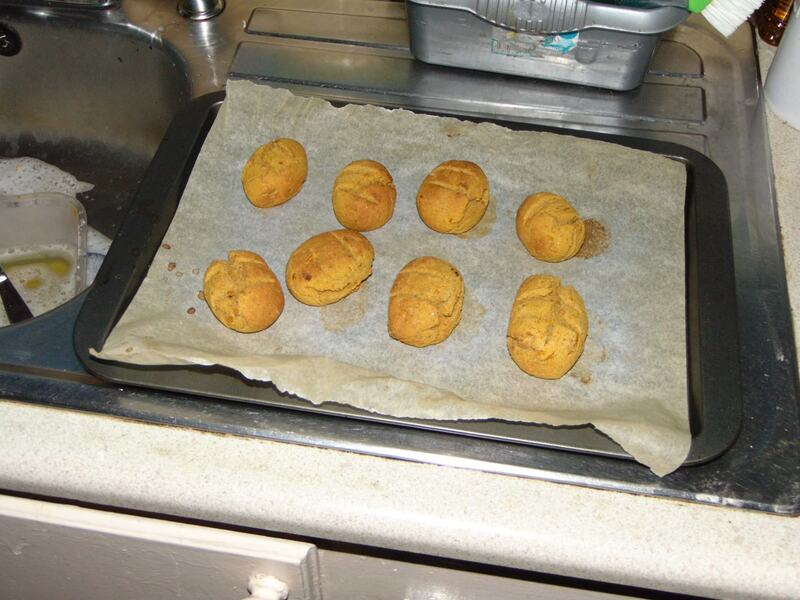 The little ones baked more as they weren’t covered, covered is better. They should just pop up and support themselves. These long posts are harder than you’d imagine. There’s a lot to get down and a lot I’m probably missing. 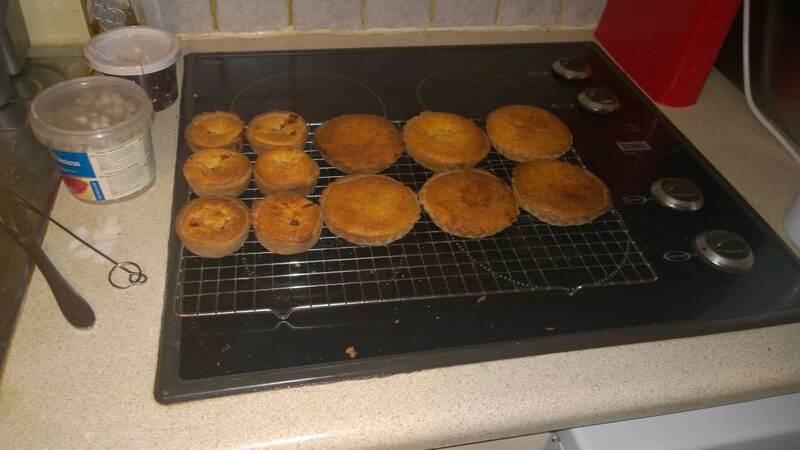 So, blind baking. Right. That’s when you put on a blind-fol…no? Oh, it’s when you bake a pastry base without a filling. Why? Masochism. Kidding. It’s to ensure the pastry that the filling is going to be contained in isn’t going to end up mushy or undercooked. The reason for the beads is to prevent the pastry rising. Funny how that only happens when you don’t want it to, right? You can see the small ones did swell a lot. You do bake them without the beads too, but only enough to ensure the base is baked enough. This is a very useful skill to have. 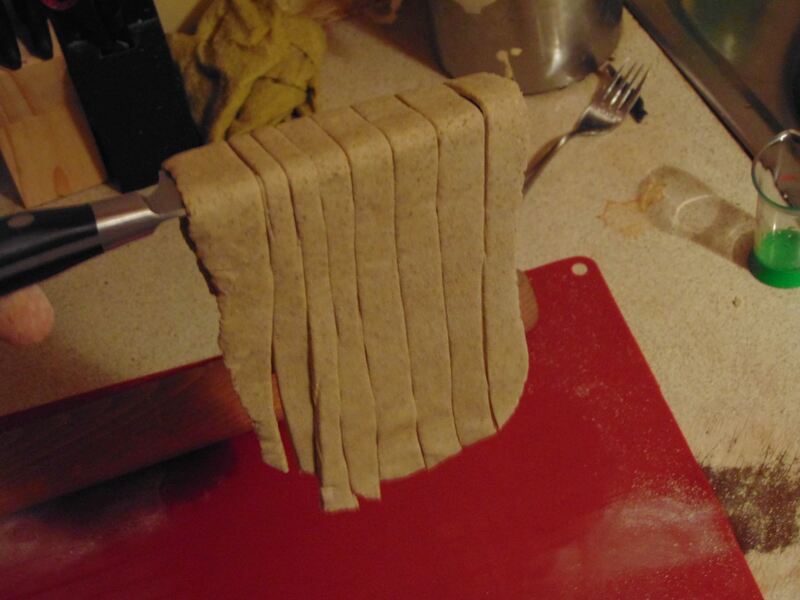 It’ll ensure that your pastry is perfect as your filling. 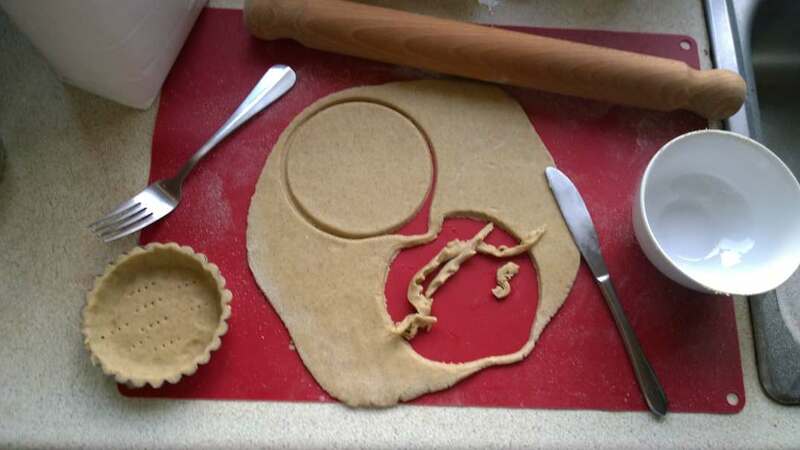 You can also use this pastry for closed pies, like mince-pies, for that holiday that’s incoming. All I can add here is to not overcook, you want it dry and firm, but not too browned. So, that’s the pastry stage. Hopefully it’s all made sense so far. I’m sleepy so if it doesn’t then that your problem. No. I’m joking. Maybe. Ask, but before you do: Read both recipe, read all this over and then after the madness ends conjure a bakewell with your mind. Remember this covers any tart made with this pastry. If it’s an open topped one: Blind bake. If not: Then just wet the edges, seal it and bake until browned. Now onto the topping. 8. Melt the Butter on a medium heat until completely melted. (Or microwave it on defrost) Remove from the heat and whisk in the Caster Sugar, then the Almonds and finally the Beaten Egg until a thick Batter has been formed. Spoon into the Pie Base, making sure it reaches the edges. Heads up! This is going to be vague as hell, because that’s the way these recipes are written. How long it’ll bake is a guess at best. I’ll try to help alleviate it somewhat. I melted the butter in the microwave to make it easier. I then forgot if this was supposed to be runny or thick. It’s frightening in a way because most recipes fail to inform you, erm, mine included. I’ll fix it, eventually. The batter, or dough, or..mess, is thick, very stiff, almost a batter, but much thicker. You’ll spoon lumps of it into the pastry. You won’t be pouring it. So don’t freak if it looks terrible. It’s unappetising at this stage. I mixed it by hand, but the choice is yours. Large egg, 70g-75 in shell. This only takes a few minutes, but you’d be forgiven for being a worry-wart as this is way into the tart’s creation. A mistake here would be deadly. Or at least annoyingly wasteful. Fill it as evenly as you can. Finesse isn’t my strong point. 9. Bake the Tart at 180c (Fan) and once it has browned on the top, about 5 minutes (Mine took 15 as there was a lot in the oven. Times vary), cover loosely with tinfoil (Greaseproof!) and cook for the remaining time. The Frangipane when cooked should have a firm top, a skewer will come out clean and will have risen up, but will still feel soft inside. Remove to a wire-rack and let cool completely. It will sink and become firmer. Now I’m second guessing myself, but you learn a lot in two years. So, you spoon in your thick filling. It was really cold in the kitchen which might have affected the viscosity of the mixture, but as I say above once it’s in the oven it’ll spread. Now, here’s the hard part. The top will brown quickly, maybe too fast, maybe not, but it’ll still be jiggly and raw. So you cover it and test it every, say ten, minutes. More often if you smell it cooking. You want a firm, still slightly soft top. Feeling as if it were a shell rather than a sponge, if that makes sense, as well as a clean inside. Skewer it in other words. Clean is king. How long is anyone’s guess, mine took half an hour, but they are small, but also packed so it varies. Just don’t go assuming or wandering off. Observe, smell and stay vigilant. You’re on the home stretch. Let it cool, I took them out of the tins right away, the pastry was done enough, the top will sink slightly and harden a bit. Then onto the final step. One I can’t help much with, but I’ll try regardless. tart I didn’t bother with vanilla or anything. There are enough flavours here already. So good, even when warm. Let yours cool! P.S It cuts clean, like the original. I just had to try one. I’ll probably take a better photo tomorrow. How’d you Get the Sunflowers in your Garden? Now we’re at Betty Boop references. Someday I’ll find someone like me and then we’ll both pester our readership with obscure references. I’ve been a bit AWOL as I’ve been decorating and DIYing. Quite a lot of work has been done, but thankfully I’m on break for a while. You know the one thing that I find bothersome? Without my planning ahead, and that’s not always completely possible, I can’t just grab something quick to eat from the shops. It all has to be made and when you’re tired out that can bother you. That’s life with Food Problems. What? I can’t think of a better collective term. But fret not reader of mine, I’m not here to complain. This post is just a bit of fun I’ve been having in-between painting, drilling etc. A few days worth of Sunflowers opening up in photographs. This is the first to open. It still has five heads left to open because of course I ended up with multiple heads. The second is larger and may open tomorrow. I’ll try to get photos of the whole lot, only four, when fully opened. I’m pretty proud of myself. Sure, they’re in no way difficult to grow but this is another first for me. Tick that off the bucket list. You can see that the strawberry bed has been cleared out, bad varieties let run wild I’m afraid. I cleared it out and will instead be planting bulbs in it. I’m also dumping the dead basil into it. No I’m not crying, I’m just really sweaty, no, don’t cry oh reader, you’ll break Jack’s already fragile heart. Sadly most of my basil is dead because of the cold. I still have cinnamon and one dark opal left. I also have two more pots just started to germinate. Don’t give up until it’s over. That’s the biggest one, so far at least, it has two big heads on the side too. It might be open soon. I just thought I’d show what the earlier stages look like too. These have been growing for about five months. Most flowers that started from seed are really coming into their own right now. Oh! I also have squash growing! Not only that, but squash is growing while the plant is still flowering which means more squash may yet grow. It’ll be nearer September before I harvest anything. There are still potential dangers to face and overcome. I’ve harvested my cabbage, they were Greyhound, the Ormskirk (I think it’s that variety) is a late Winter cabbage and huge to boot. So that’ll come later. The beetroot is all harvested, I still have some just started. It’s slowing down, but there is lot of work and harvesting left yet. I’m enjoying it and I know this year has been kind. Makes up for last year, but fear not concerned reader, I won’t become complacent, I know next year could be treacherous. I’ll take on any weather if it means fresh herbs and vegetables. Flowers too I guess, when did I start getting so attached to those? One of my beets was tiny so I boiled it up for natural food colouring. Just chop a beet up, boil it in plenty of water and leave uncovered until a tiny bit of the water remains. Drain and save the water. It’s just a silly bit of fun, I can’t use food dyes to to my histamine intolerance. So I used it in some Buckwheat Scones and topped those with some Chia Jam that I made from 75g Peeled Apple, 225g Frozen Strawberries (From the garden), 30g Chia Seed and 50g Caster Sugar. The strawberries were amazing, so tasty and the apple helped thicken it up. The recipe is linked and you can put it all together yourselves. As you can see the beetroot juice doesn’t colour it vibrantly, but it doesn’t look too bad either. You can do it with turmeric, spinach and anything that will release pigment when boiled. I’m having a hard time not eating all the jam right now. Okay that’s it for me for now. I’ll be back with new recipes whenever I find them. Helpful aren’t I? Later. Give or take. Just a quick post, this is one of those failure posts. Well, it’s only a slight failure. I was making a triple batch of Carob Soba Noodles and everything was fine and dandy, the noodles all held wonderfully, lovely long strands with no breaking. Then after I made them and was packing them they broke. I’m so ashamed, nah, not really, but it’s a shame. I of course tossed them away in disgust, by which I mean I swore at them, bagged them and popped them in the freezer. Pasta is pasta dear reader of mine, regardless of the shape it all tastes pretty similar. So, you might want to know what this is about. I don’t blame you. Oh, you’re still here? 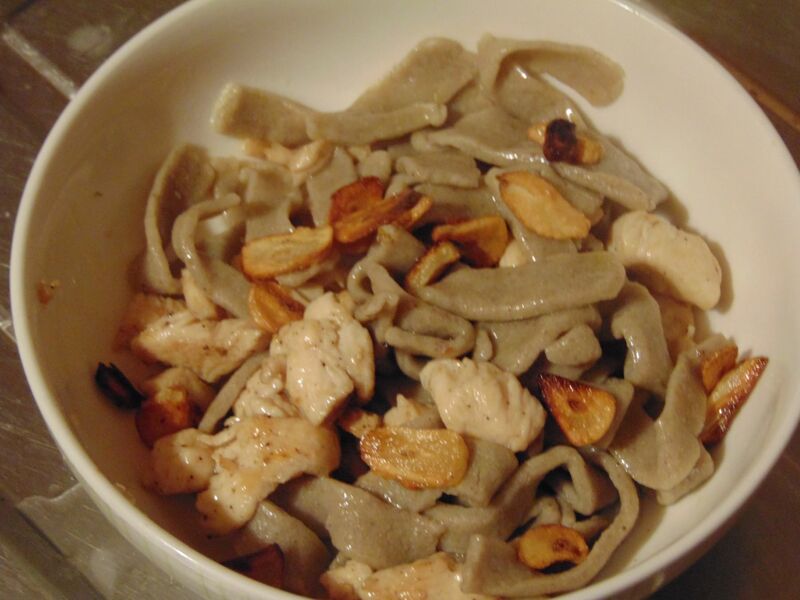 Okay, then it’s actually something I noticed before when using chia egg as a binder in soba noodles: It tends to dry out fast and makes them brittle. So make them fresh. That’s it, Yup. But here’s the thing: I had to learn this from noting as this is my own creation. That’s a strange thing to say and it’s not out of a desire to be a braggart, more out of the desire to inform. I’m learning as I go and it can take a while to really tell why something goes awry. 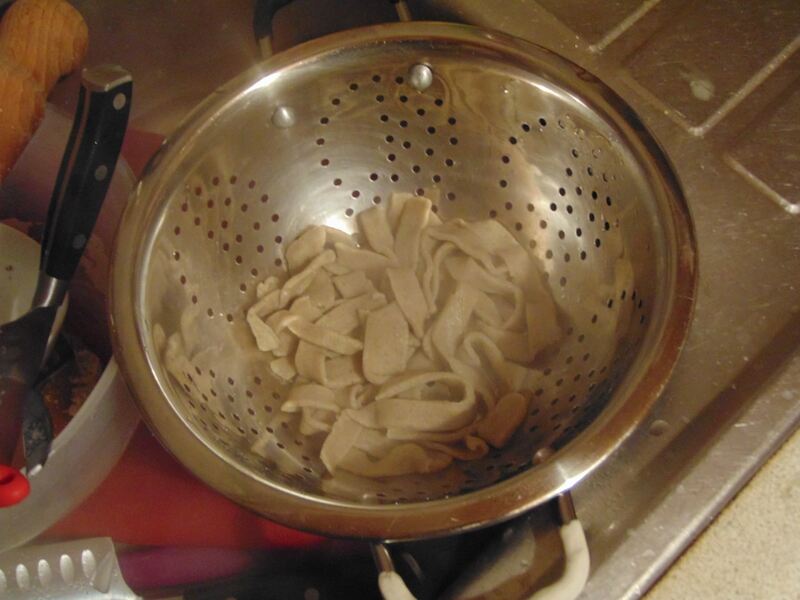 I don’t often make these noodles so it has taken me a long time to see the slight flaw in them. Cook them fresh and you’ll never have any trouble. 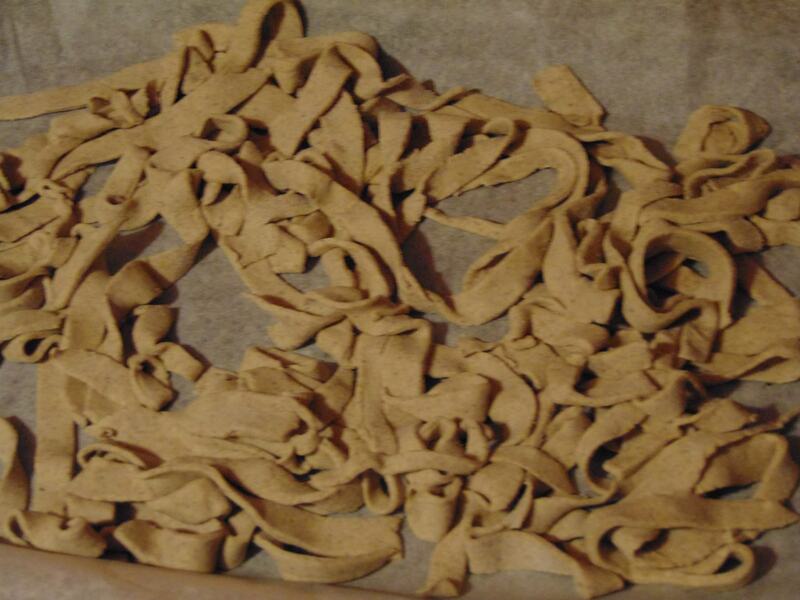 Let’s face it, any free-from baking has a lot of stipulations attached to it, but having to make fresh noodles, which is better anyway, isn’t so bad. So, what about the chia egg and the passage of time? Well, it’s been five months or so and this is still an amazing combination. The dough I made was re-worked five times and was perfect until it started to dry out. 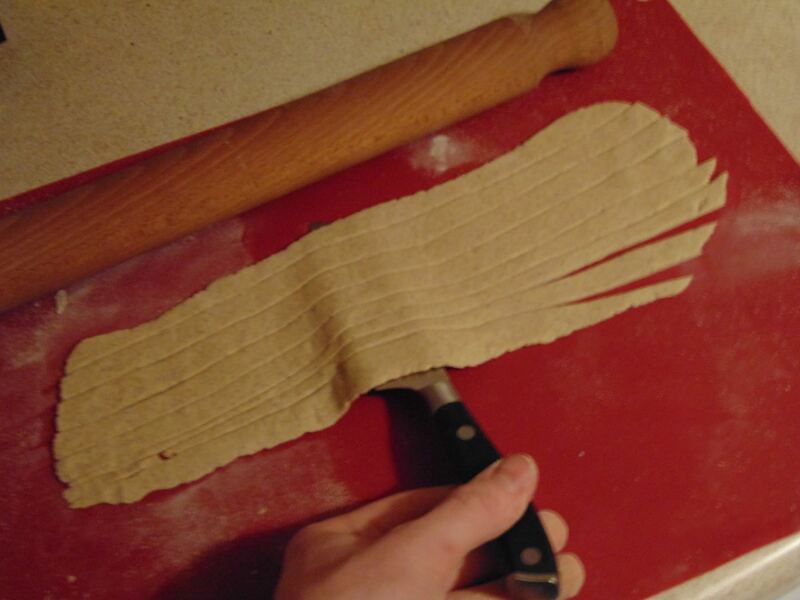 Now one warning is that it will take a lot of work kneading and smashing the dough when making soba with it. Say a good ten to fifteen minutes. With the pastry you have more moisture and that will make it vastly easier to work and re-work. Still, watching it form into a stretchy dough that could be rolled out wafer thin and cut into thin fold-able strips was a real joy. It’s so simple, but it works so well. Sure, today I ended up with broken strands but they’ll taste fine and I’ll have learned a little more about this technique. That’s what this is all about: Learning. You start from nothing when you enter the free-from scene and you’ll have plenty of opportunities to create new ideas as there’s a lot out there waiting to be created and discovered. 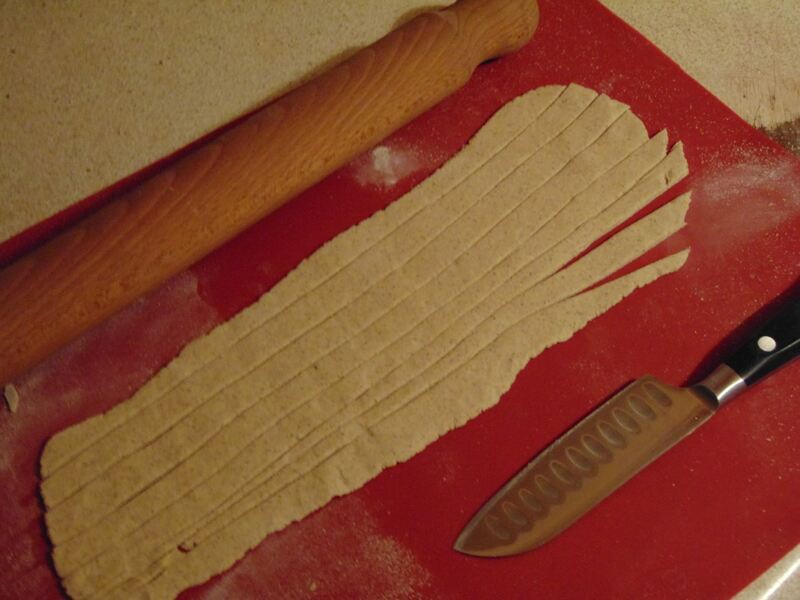 Maybe chia egg and buckwheat flour isn’t a huge discovery, but being able to knead dough for Pastry, Soba and Tortillas that can be reworked, won’t crumble and will stretch and roll out super-thin is still marvellous to me. Maybe when I’m an even older hand at all this I’ll be slightly more jaded, but for now this is still really neat. Let’s hope I can do even more in the future. With all your support I know I’ll have the drive to keep at this. Thank you everyone who has checked out the site. It means a lot. I wanted a wide slice of my Buckwheat and Flax Bread and thought I’d try an old trick. I split the batter into three 4 /12 spring-form pans and baked it as normal, alongside a full sized loaf, and it worked just great. You get about four slices worth in each, which for sandwiches is just ideal. It’s a simple idea, but not something I’ve done in a long time. You could make one whole loaf this way too, but I just wanted a couple of large thin slices for a sandwich. I’ll leave one out and freeze the others, then cut up the loaf and freeze that too. It freezes really well. Okay, that’s it for today. Until later. Oh, buckwheat. You do me good. Be bold, bloody and…wrong post. Since this is a slight deviation from the norm I’ll deviate too and be irreverent, no not irrelevant!, facetious, no poop jokes!, and, hmmmm? How is that any different from usual? Well, you’ve got me there, reader. So how does this post differ from the usual? Well, to be honest I actually haven’t eaten this myself. Woah! Get back here. I’m just passing this on for anyone who wants to try it, I’ve made it checked it and doubled check it, it was made for a friend and they loved it so I thought I’d just pass it along regardless of my having had tried it. The bread is fine from what I can tell, I made a mistake with the tin size as I assumed there’d be some rise. I’ve never made a porridge bread before so now I know. Just use the recommended tin and you’ll be fine. This looks…I know I make that joke a lot. You shut up. This is a really loaded bread. You can probably wing it with some of the ingredients, the banana, egg and chia are the binders so be careful when substituting those. I had chia but no blueberry mix so I just blended fresh blueberries instead and it worked fine. I was worried that whole ones would burst and make the bread crumbly. You could try it if you’d rather it’s up to you I won’t be fiddling with this recipe I’ll leave that you you ever intrepid reader, no, not tepid, it means. Just forget it…fathead. You could sub out the nuts with something else, maybe other nuts or seeds. Whatever you’d rather. This doesn’t rise as I said and it is rather dense, but it does have a slight springiness to it which is surprising. Yeah, I cut it in half to make sure it was baked, I couldn’t give it partly raw to someone could I? This is a pretty common recipe these days, there’s even a version with just yoghurt (Egg replacer) and oats. Porridge oats and rolled oats are one in the same, that’ll save you some confusion. But if a recipe called for quick oats or microwave oats that’ll be different. Not much else to say here, I’m sure no-one will mind an untasted recipe once in a blue moon. I’ll probably hold off on the garden posts for a while as you might be tired of them. I had my first flower open today, which is pretty awesome. I’ve had a squash flowers by the dozen, but no decorate ones. I think it’s cool at least, you probably do too my botanical-hearted friend. I’m sure you do. No don’t protest, leave Jack to his imaginings. Until later. Flat is fine. Remember that, it’ll be true a lot in GF baking. There’s a lot going on in there. 1. Preheat oven to 180c (No Fan) and grease and line a 6×3 inch loaf pan. 2. Add all the Dry Ingredients to a bowl and set aside. Add everything else to a blender or food processor and blend together until smooth. 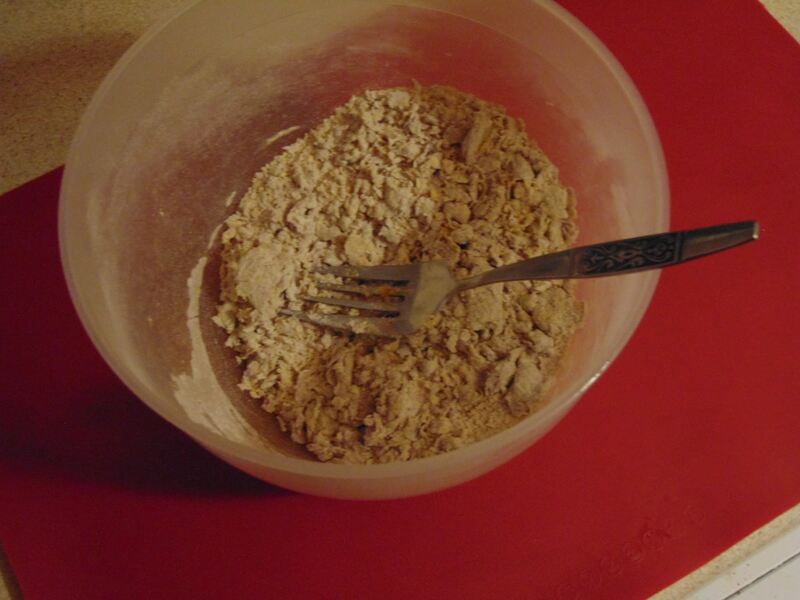 Pour into the Dry Mix and stir together until a batter has been formed. 4. Pour batter into prepared tin and bake for 45 minutes, turning halfway if needed, until golden brown and a skewer comes out clean. 5. Cool in tin for 20 minutes, then remove and let cool completely on a wire rack.